UK 38" 40" 42" 44" 46" 48" 50" 52"
UK 38" 40" 42" 44" 46" 48" 50"
UK 15.0" 15.5" 16.5" 17.5" 18.0" 19.0" 19.5" 20.0"
UK 30 - 32" 32 - 34" 34 - 36" 36 - 38" 38 - 40" 40 - 42"
UK 25" 27" 29" 31" 33" 35"
The Ilkley Kids Shirt from Alan Paine is a smart and comfortable Children's Shooting Shirt. A longer length design ensures that it stays tucked in and the minimal iron cotton provides a soft feel finish. 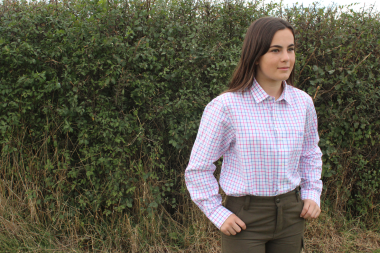 The bright Blue and Pink colours combine to create the cheerful tattersall check, perfect for boys and girls and look great worn on their own or under a kids shooting jacket or waistcoat. Now also available in Red Check. 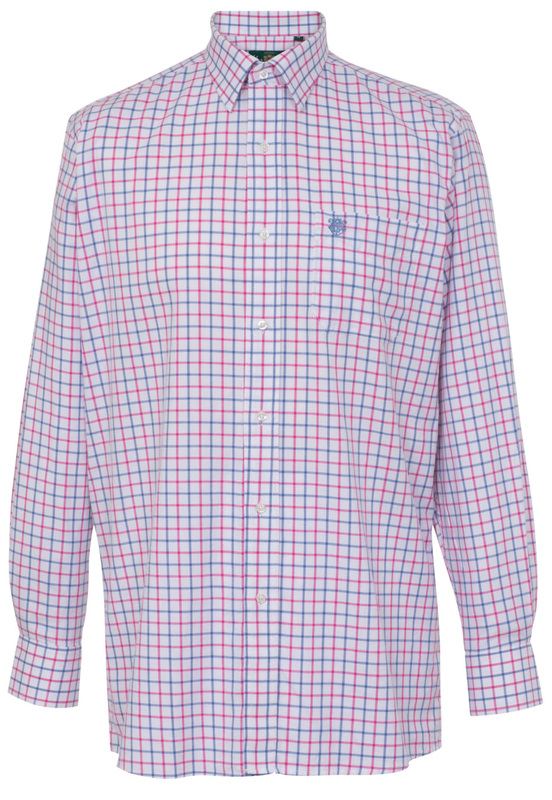 The Alan Paine Ilkley Kid's Shirt features long sleeves and a chest pocket with a embroidered Alan Paine emblem.